Downloading images in an online gallery. When you create/edit an online gallery for a Collection, you can enable or disable downloads and dictate what exact sized image your clients can download. If you’re on the free plan, you’ll be able to set your downloads to a maximum of 3600px along the longest edge. To enable downloads in an online gallery, select the Collection containing the gallery you want to adjust and click “Galleries”. If you already have one or more gallery created, you'll see galleries listed in the next screen. Click on the "Edit" button to modify a particular gallery's settings. Once the gallery settings modal appears, click on the “Download” tab. From within this tab, you can toggle "Allow Downloads" to ON. Once enabled, you can specify the exact dimensions gallery visitors will be allowed to download. If watermarks are enabled in your web gallery and you have downloads ON, any downloaded images will also appear watermarked. Your client will have the ability to download individual images in their online gallery or request to download all photos with just one click! Your custom size setting will apply to the images they receive. 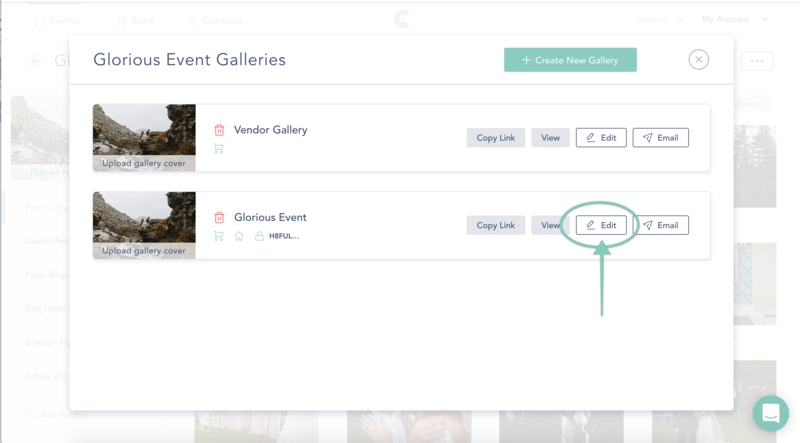 Your client can download an entire category, just their favorites, or All Photos by clicking the download icon in the top right of their gallery. The next screen gives them the option what to download. An email from your business to them will be sent out with a direct link to download those requested photos.